Four fold Laminated cream bencher. Cover and all text are framed with a colored floral border. Bencher features a glossy finish. 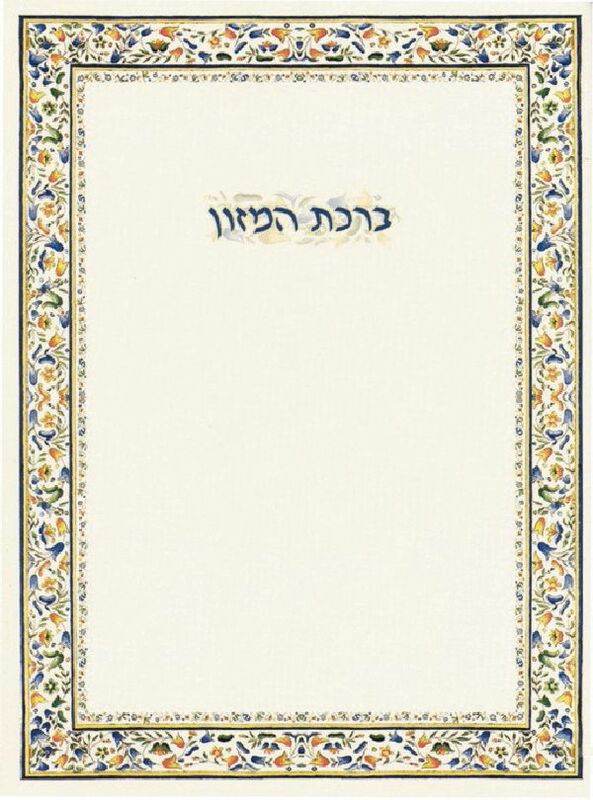 Includes all Hebrew Birkat Hamazon and sheva Berachot.